« Cork and Canvas- Pop. Fizz. Clink! They are impulsive creatures with little self-control, but with a wide-eyed wonder and odd innocence that endears them to viewers and makes them relatable. 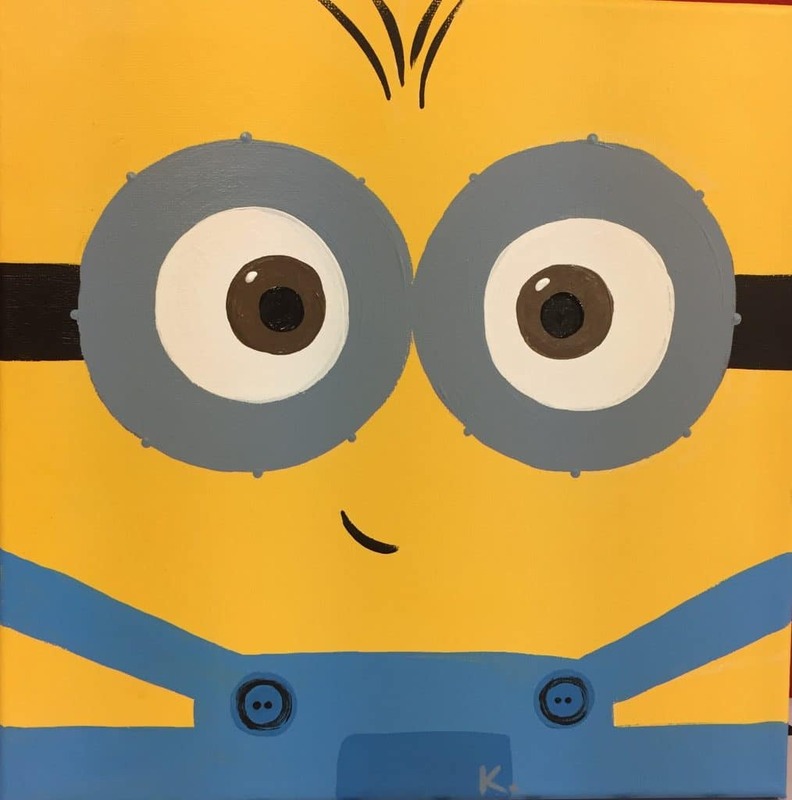 Join us for simply instructions and a great time painting this funny little Minion.